A Blog about Hokkaido, Photography and other interesting things out there. 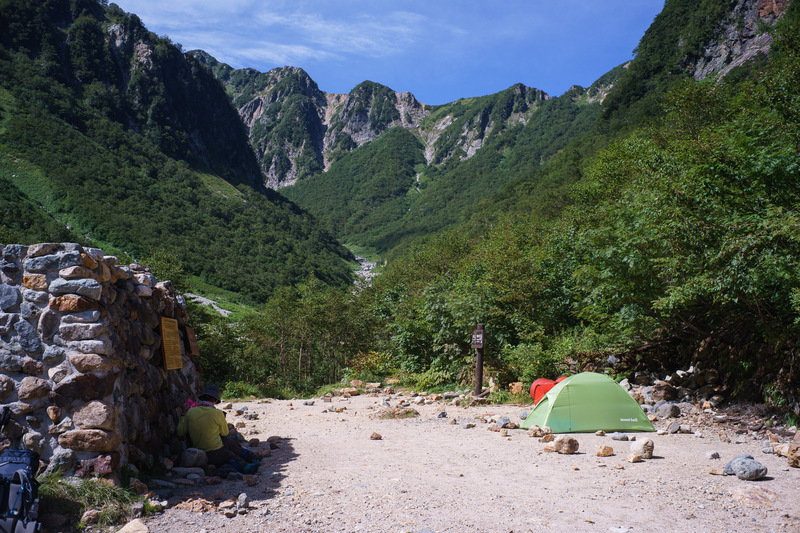 This post is part one of three (two, three) on a four day trip across the Kita Alps in Japan from Kamikochi (上高地) to Shinhotaka Onsen (穂高温泉). We did the trip in September of 2017. 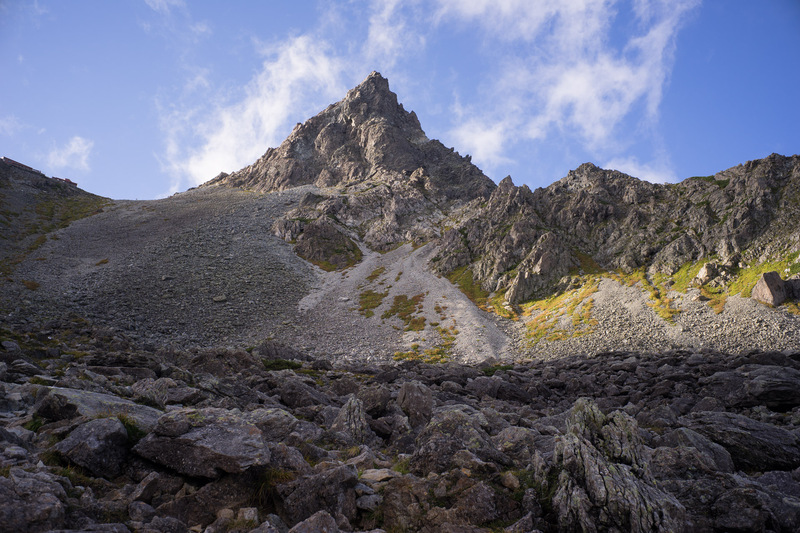 The main objective was to climb Mt Yarigatake (槍ヶ岳) with the possibility of doing the Yari-Hotaka traverse, should the conditions permit. We packed food for four days, however as there were several huts on the way if needed be that could’ve been streched to a longer period of time. 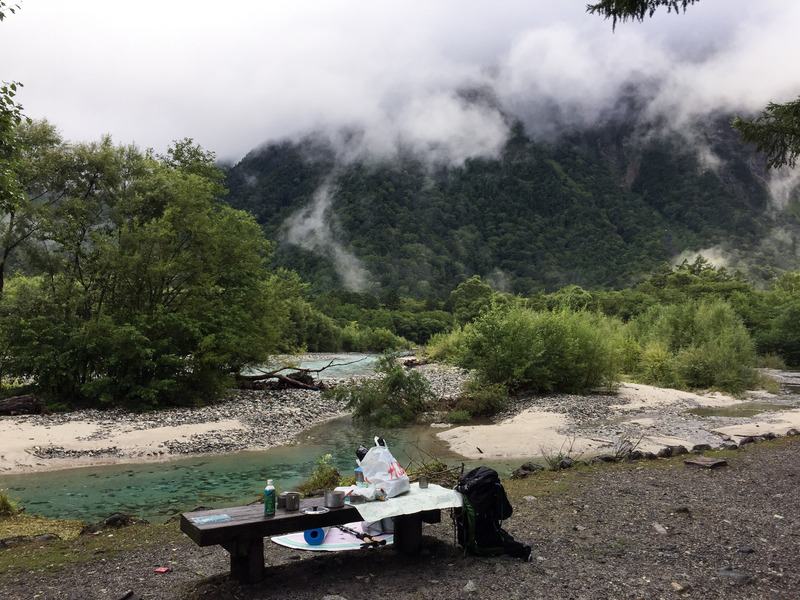 The plan was initially to arrive around midday in Hirayu Onsen (平湯温泉) by car, prepare our backpacks, park the car, and then take the public bus (Nohi Bus) into the Kamikochi National Park (上高地国立公園). That is because you’re not allowed to drive your own car into the National Park. However, after several delays we arrived significantly later than planned at Hirayu Onsen (平湯温泉) and were a little bit stressed out packing our backpacks. We barely caught the last bus which left at 4:50 p.m. from the Akandana Parking Lot (あかんだな駐車場) where we left our car. 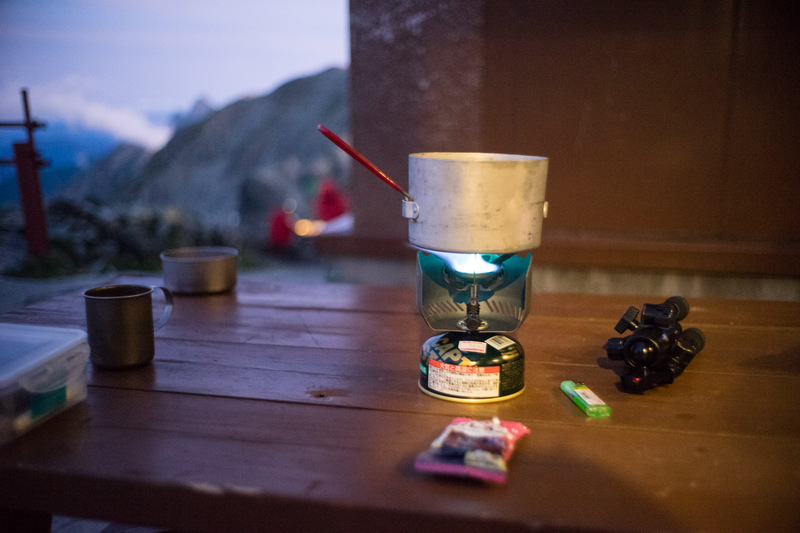 Immediately, we realised that we forgot some important items, namely our hiking poles and the tripod for the camera. Some non-essential but nice to have items were also still in the car, so on a whim we decided to exit the bus at the next stop down in the city centre of Hirayu Onsen (平湯温泉). Unfortunately, the car park is quite a bit away from the city centre so we had to walk all the way back up on the road which took around 20 minutes. After arriving, we once again packed our backpacks up and called a taxi to drive us into Kamikochi (上高地). While we had a to pay an extra late-evening fee, the taxi was not that expensive at all compared to the bus fare (7000 JPY for two people). As we wanted to leave towards Yarigatake (槍ヶ岳) early the next morning, taking the taxi was the only viable option. 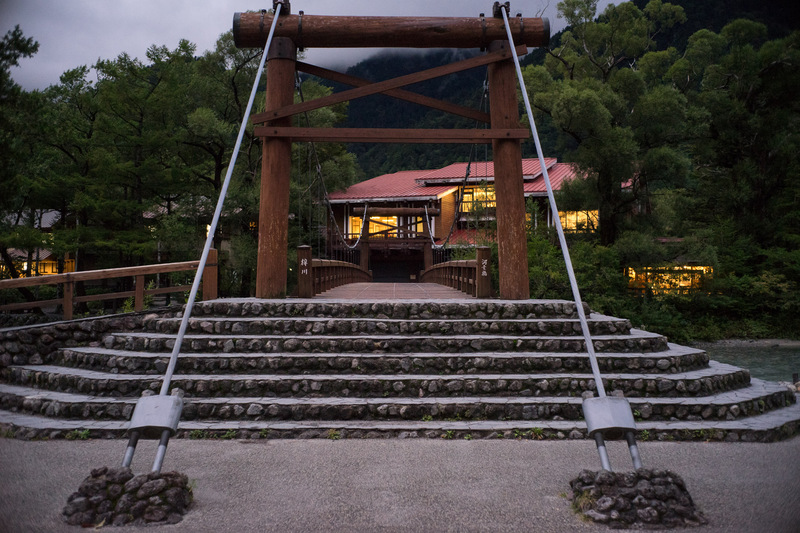 Important to note is (what we didn’t know until the taxi driver told us), that the gates to the Kamikochi National Park (上高地国立公園) close every day at 7 p.m., after which even taxis can’t get in any more. When we arrived the sun had already set and a very serene and calm atmosphere prevailed. 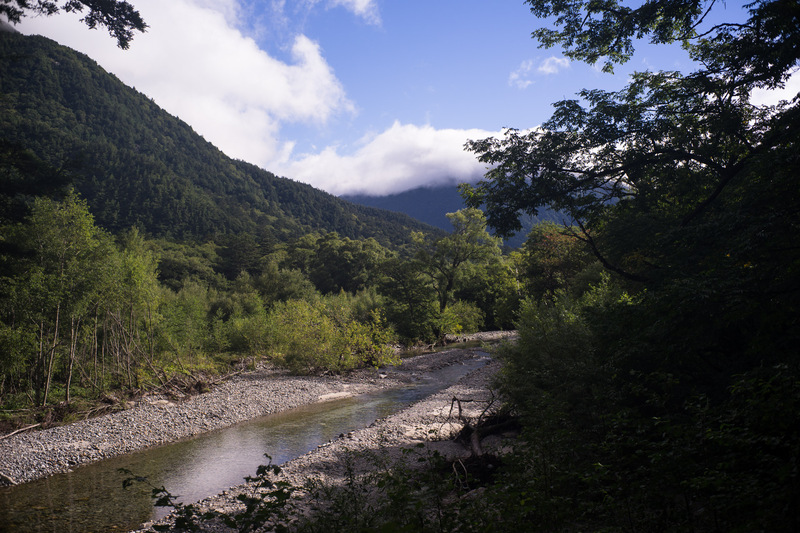 Kamikochi is located along a river at approx. 1500m altitude. 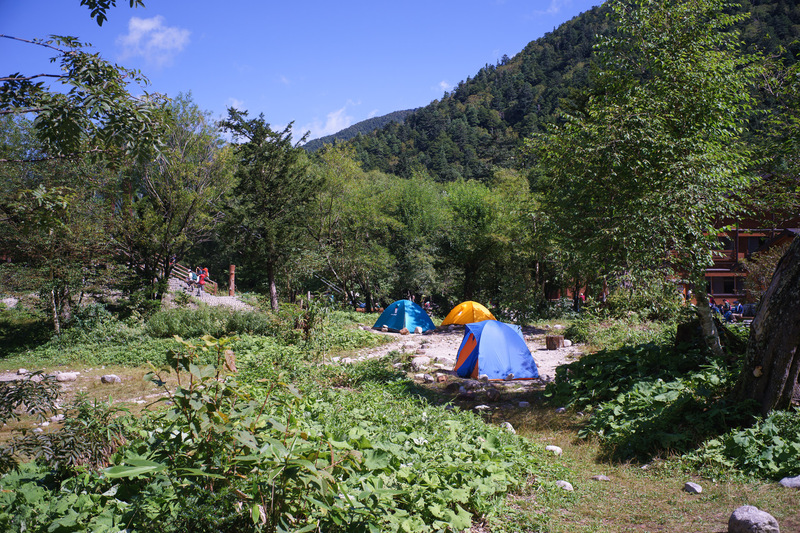 There are a number of Ryokans and Restaurants and one camp site with clean facilities but no shower (800JPY/person/night). An onsen is available for a fee however, more info: http://www.nihonalpskankou.com/common/pdf/EnglishGuide.pdf . 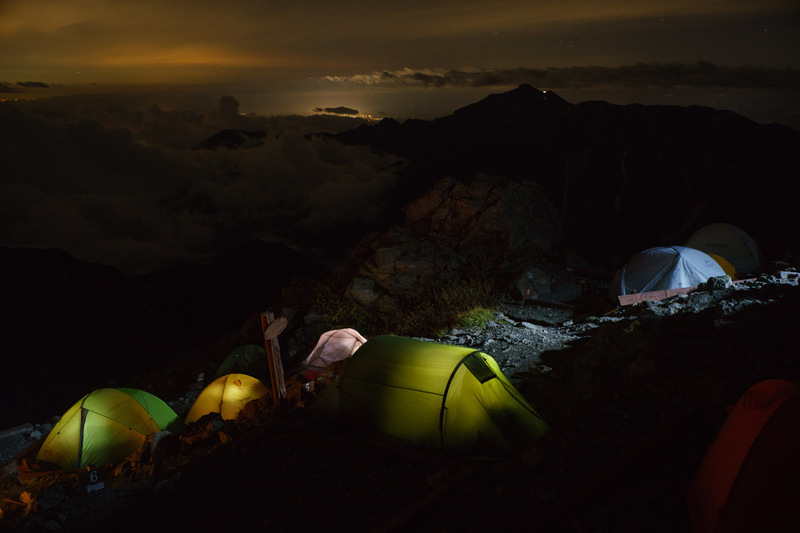 We immediately pitched our tent, cooked, and slept to be able to wake up early the next morning for Yarigatake. Aiming for a quick start, we finally began walking at 7:40 a.m. We were definitely not the first to start walking, as Japanese people tend to start incredibly early. 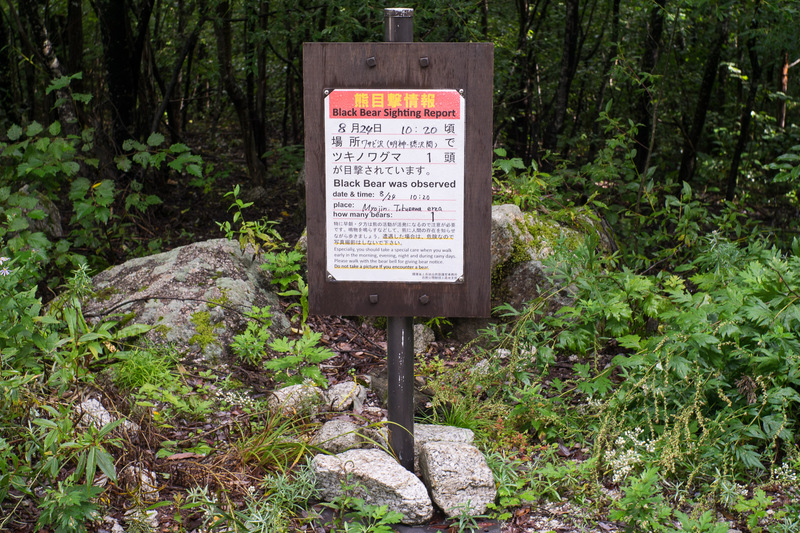 Our goal was Yarigatake, which was initially not indicated on the signs along the trail. However, the trail is just following along the river, so it’s hard to miss. You will pass the Myojinkan (明神館), Tokusawa (徳沢), and finally Yokoo Sanso (横尾山荘). The last two also have camping sites available. It took us approx. 1:15h to reach Tokusawa and from there another 50 minutes to reach Yokoo Sanso. 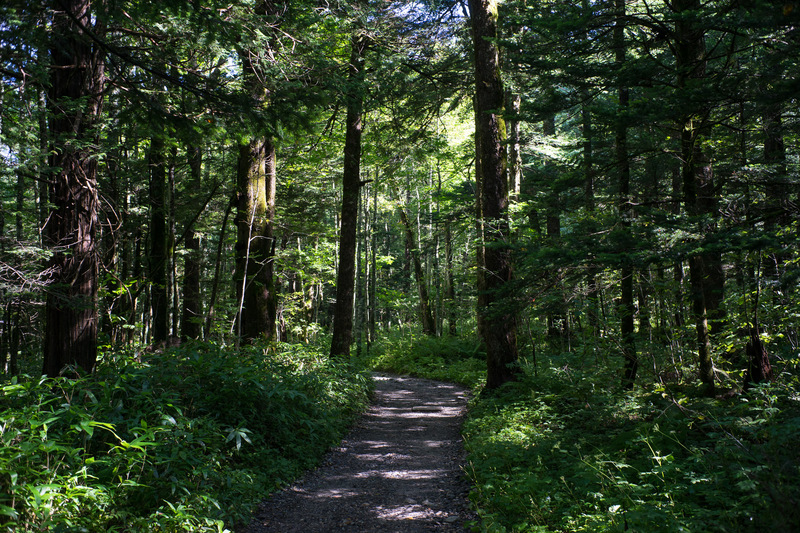 The trail is next to the river and through a nice calm forest. 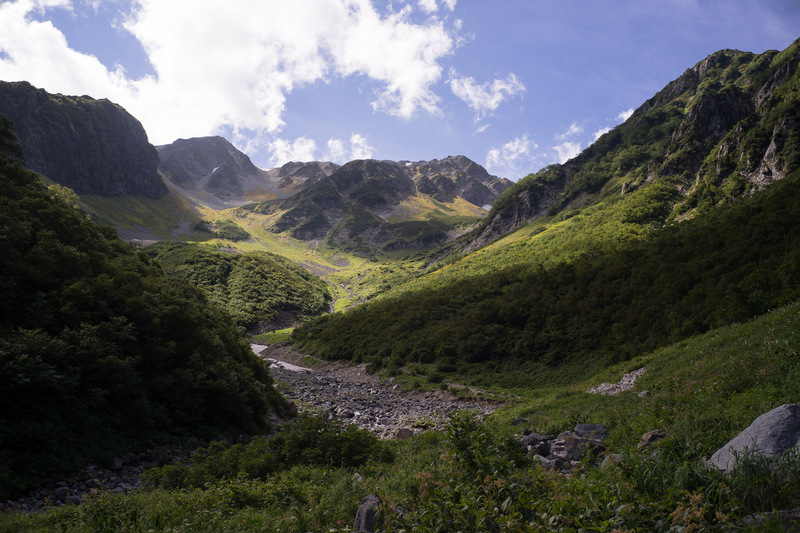 It’s easy to walk and I’d recommend to walk quickly as the time will be needed later on the ascent to Yarigatake. 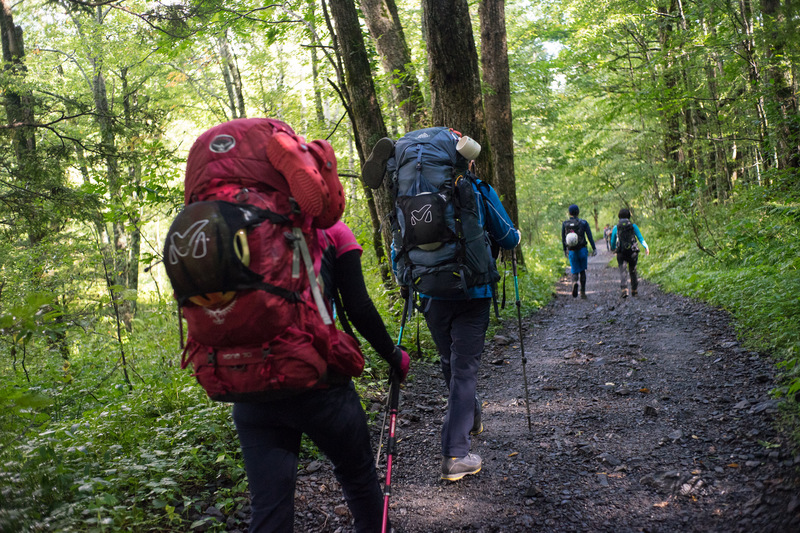 We met mostly two different types of hikers on the way, one brought about everything one could think of and thus was walking around with huge backpacks, while others went very minimalistic with only the bare essentials. We liked to count us to the latter group, although we still brought too much stuff. Then passing by the Michikusa Shokudo (みちくさ食堂) where you could grab a bite to eat or even spend the night (room/tent) we reached Yokoo Sanso (横尾山荘), from where the way splits up into four directions. To the west through Yokootani (横尾谷) to Mt Kita Hotaka (北穂高岳), to the east over Yarimidai (槍御台) to Mt Chogatake (蝶ヶ岳) and to the north over Yarisawa (槍沢) to our destination: Mt Yarigatake (槍ヶ岳). From here, the trail continues along a river and starts to kick upwards gradually until the Yarisawa Lodge (槍沢ロッヂ) is reached after a bit less than 2h. 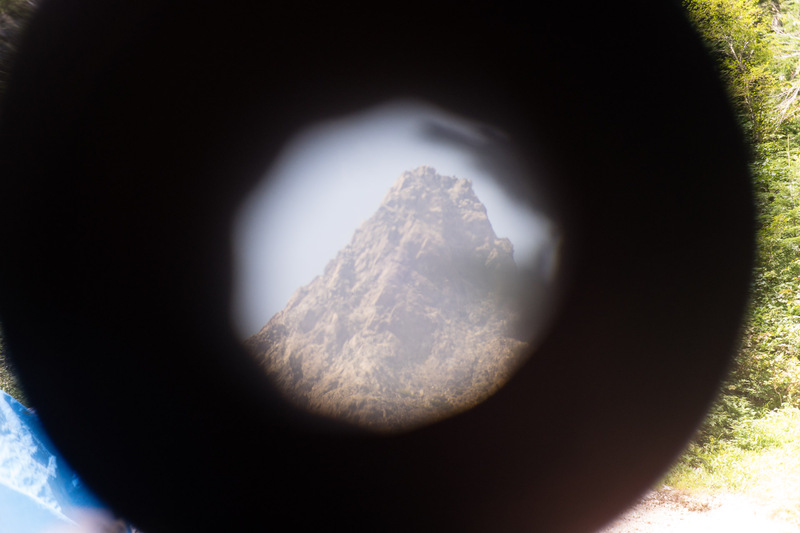 Yarigatake through the telescope put up at Yarisawa Lodge, still looks far away….! The Yarisawa Lodge (槍沢ロッヂ) offers coffee/meals/etc. 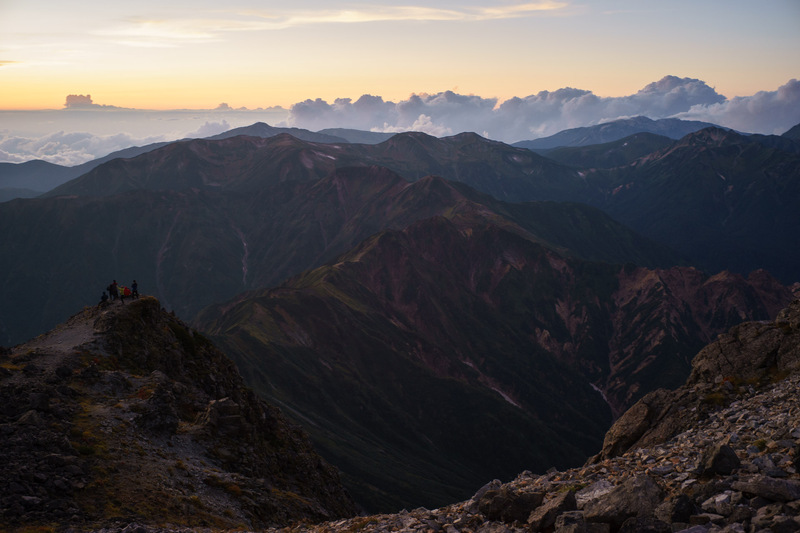 but the real highlight is the small telecope they installed from where you can get the first glimpse of Yarigatake (槍ヶ岳), it still looks so far away and exposed compared to the current surroundings that it’s hard to grasp to end up there by this evening. After the Lodge, a new camp ground is being established, called Yarisawa Camping Ground (槍沢キャンプ場), as there is no space immediately next to the Lodge. From the Lodge the trail starts to rise from the side of the river and now starts to gain more altitude. Finally, 2h15min after the Yarisawa Lodge (槍沢ロッヂ) Mt Yarigatake (槍ヶ岳) comes into full sight. At the same time, the slope becomes a lot more steep and rocky. Rather than soil it’s now all rocks/blocks, but it’s still fairly easy to make out the trail. Now the it’s a decidedly uphill hike towards the ridge where Yarigatake Sanso (槍ヶ岳山荘) sits on. 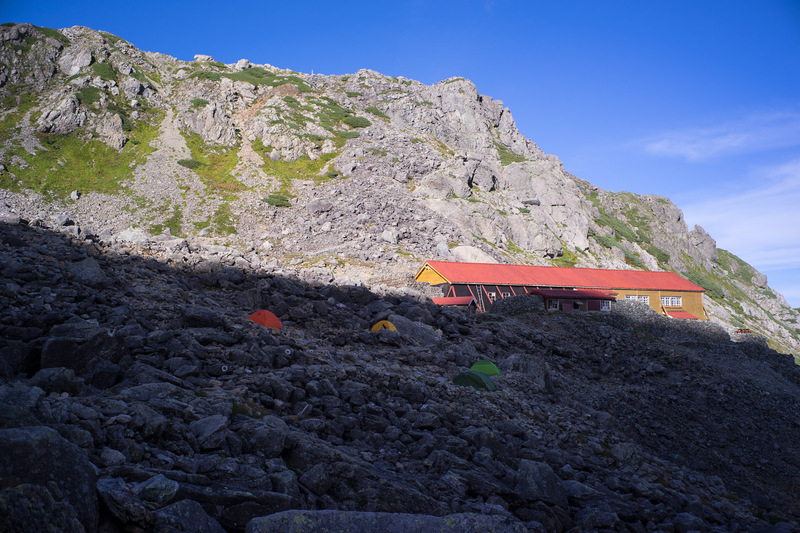 Halfway through, you pass the Sessho Hütte (殺生ヒュッテ) which sits in the rocks about 30mins below the summit. 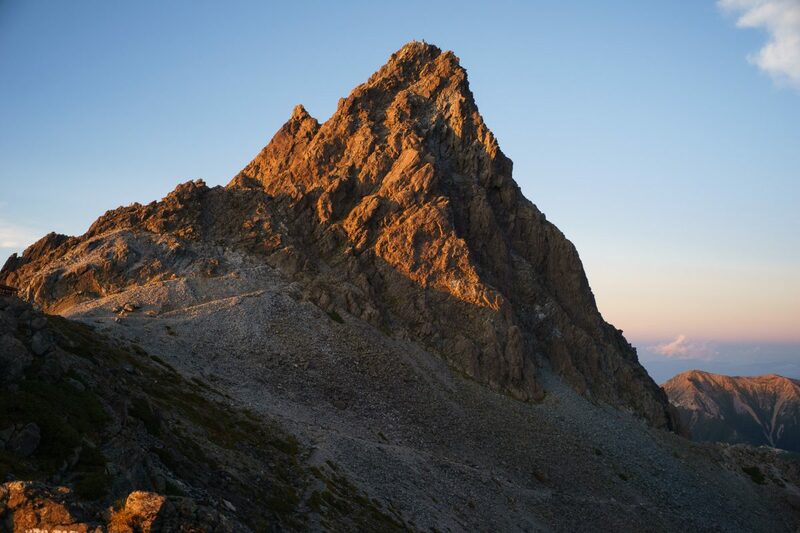 The words used in Japan for mountain huts are kind of interesting, until now I’ve heared two decidedly Japanese expressions: Sanso (山荘) and Goya (小屋) as well as two foreign expressions: Lodge (ロッヂ) and the German Hütte (ヒュッテ). However, I can’t say why one or the other is used – perhaps anyone has any hints? 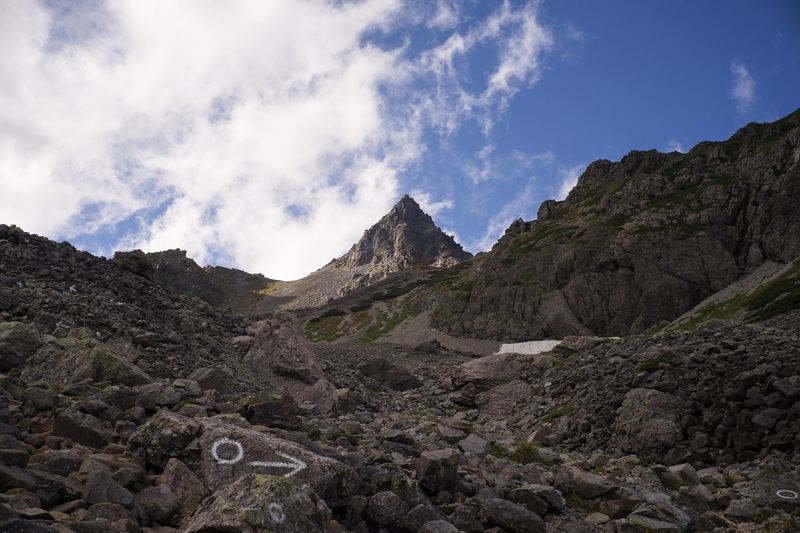 The trail now zick-zacks towards the ridge where the main Yarigatake Sanso(槍ヶ岳山荘) is located. We also realised that this is now alpine terrain by the speed that the weather changes. Once close to the top the beautiful sky turned into fog and back again. 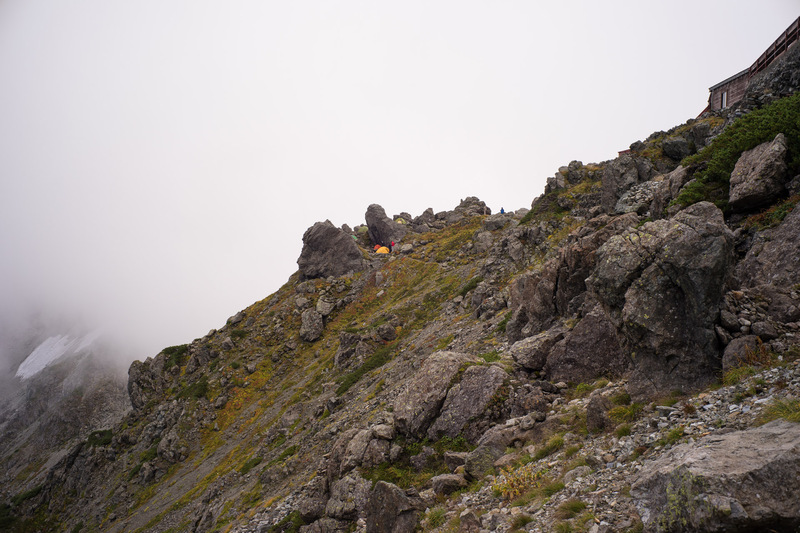 One of the least exposed camping spots on Yarigatake’s ridge. 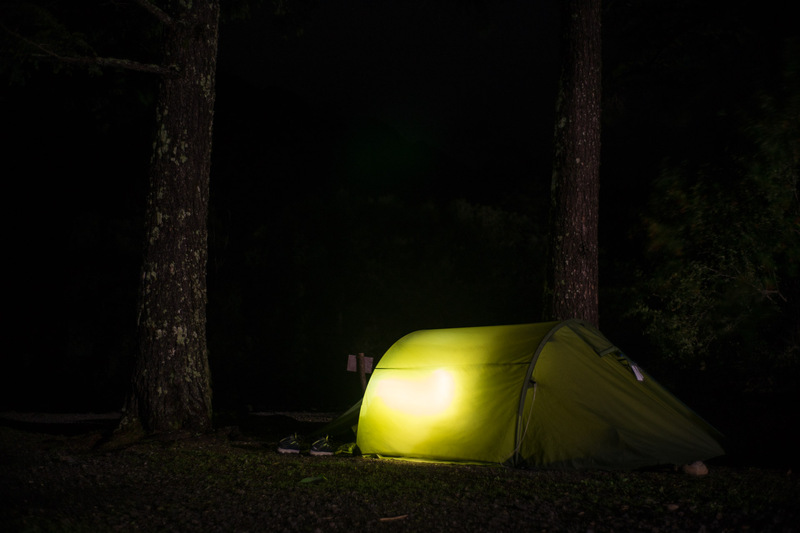 Before pitching your tent, you have to register at the Hut for a camping spot. I believe it cost 1000YEN but included using the toilets and refilling your water so that was very reasonable. It’s important to note though, that you’re not free to choose a spot of your liking but rather you are assigned one. Ours was fairly exposed (as were most), so be sure to bring ear plugs if you can’t sleep well with strong winds going against the tent. Also, the area was rather small. 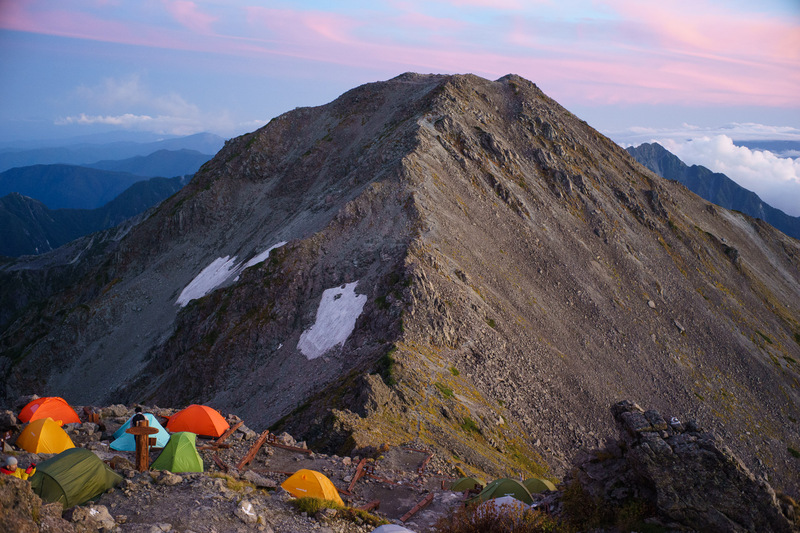 Most Japanese people have small dome style freestanding tents where that is usually not a problem. However, as our’s was a tunnel tent we had to properly tighten the guy lines which posed a little challenge in collecting large enough rocks. The sun started setting quite quickly after arriving, but not after bathing everyone with incredibly vibrant last rays. After the sun went down, the temperature fell rapidly and the wind picked up, so it was time for something warm to eat (pasta… and some red bean soup). 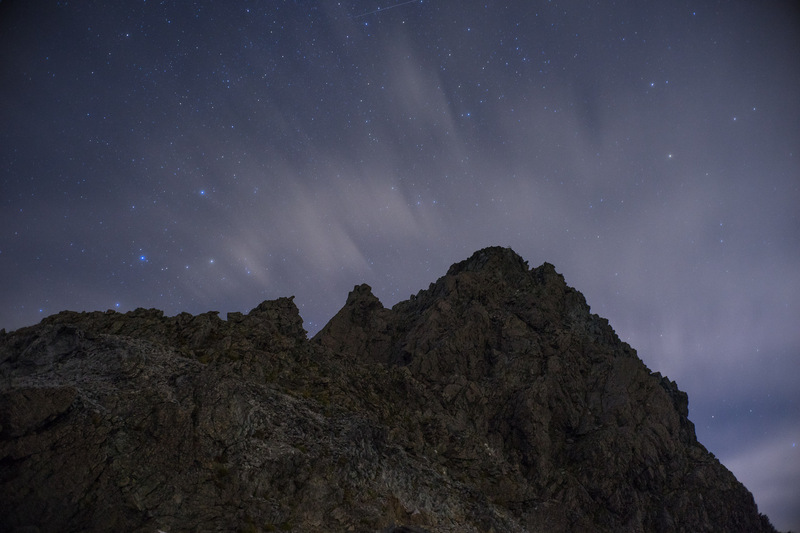 I couldn’t resist walking around camp with a tripod though before going to sleep, as the landscape was just too good to pass up on looking at. I am currently an exchange student at Hokkaido University. © 2019 InHokkaido. All rights reserved.